After two consecutive lackluster – borderline boring – Octagon shows, are you still iffy on whether to order “UFC 170: Rousey vs. McMann” on pay-per-view this Saturday? Well, the promotion has released an extended video preview showcasing the card’s four featured fighters to help sway your dollars. 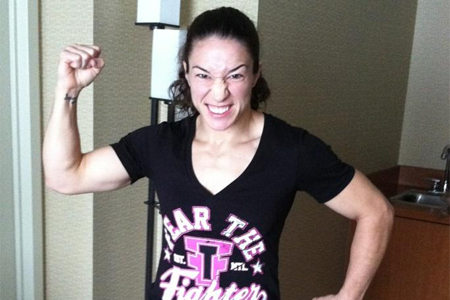 Sara McMann (pictured) challenges reigning UFC bantamweight champion Ronda Rousey in the main event. Light heavyweights, and sudden archenemies, Daniel Cormier and last-second substitute Patrick Cummins serve as the co-featured attraction.